Hi, I'm looking for a 12mm x 100mm front axle for a EC90 SL - M1 hub. Is this the right one? The part that you need is part #48325. Bu ürün easton haven ön 9mm qr 15mm dönüstürebilirmi? 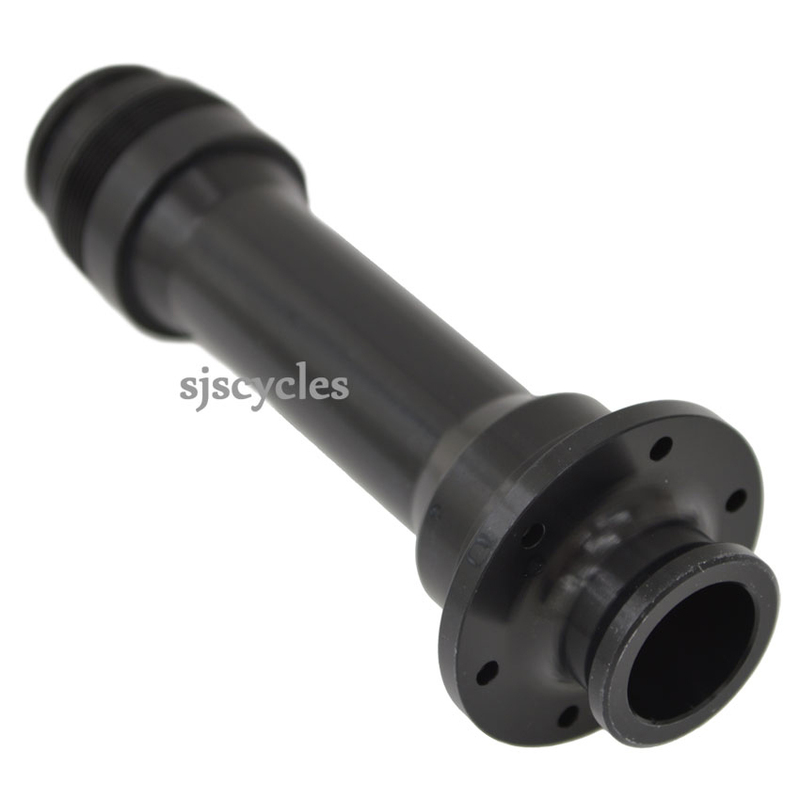 Please contact our sales team directly to sales@sjscycles.com, including the model of the hub and any markings on it. Is The The Correct Part To Convert A 20Mm Hub To 15 Mm On A M1-312 Front Hub ? You are correct, this would indeed be the correct part to convert an M1-312 hub to 15mm bolt through. Does This Axle Require A Tool To Remove? Do You Stock This? The only tool required is a pin spanner to remove the bearing adjuster, you should then be able to remove the axle by hand. This front axle is indeed compatible with you Easton Haven Carbon 2016 wheels. Hi just wanted to check if the Easton Axle F15x100 SJS par number 35955 is actually in your Stoke room at SJS and not something you have to order at Silverfish as I do need it ASAP. If they're showing as in stock on our website then we have physical stock here. This axle is what you need to convert your hub from 20mm to 15mm.